Welcome to the 8th Annual Winter Blitz! This is a fast paced tournament! 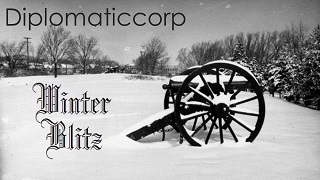 Designed for those who enjoy tournament style competition, but who don't want to commit 2 years to a tournament -- The DC Winter Blitz will begin in January, and have 2 rounds complete before summer! The games will run 1 actual week per game year. Spring deadlines will occur EVERY MONDAY. Fall deadlines will occur EVERY THURSDAY, 3 days later. Then 4 days roll around again to Monday. If you are not up for a 3-day / 4-day schedule, this tournament is not for you. Stay tuned for the DC Open, later in the year. Retreats and/or Builds will always be due the day after results are out. That is Tuesday and/or Friday. Due to the late Thanksgiving and shortened holiday season, we're delaying the start by 1 week! All dates below are +7 days.